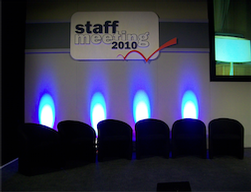 Almost every corporate event or awards ceremony has some form of presentation from the finance director’s graphs to the video of the award nominees. 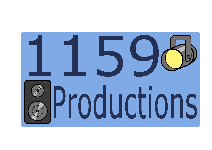 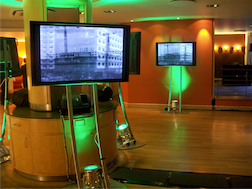 With the many different technologies available 1159 Productions can guide you through the options and provide the AV solution whether that is a projector and screen or many plasmas to ensure that everyone gets to see all the essential information. 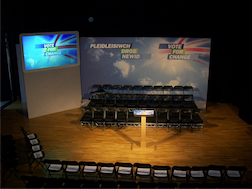 Cameras for live feeds and foldback screens for your presenter can all be provided.